Netflix announced the company is adding former National Security Advisor Susan Rice from the Obama Administration to its board of directors. In describing Rice’s experience, Hastings’ assessment of her tackling “difficult” issues must be in regard to her ability to lie for her bosses. Following the Benghazi terrorist attack, Rice hit the Sunday talk show circuit to blame the attack on a Youtube video in order to protect then President Obama before the 2012 presidential election. At that time, Rice was serving as U.S. Ambassador to the United Nations. Rice also flipflopped regarding the unmasking of individuals associated with President Trump. 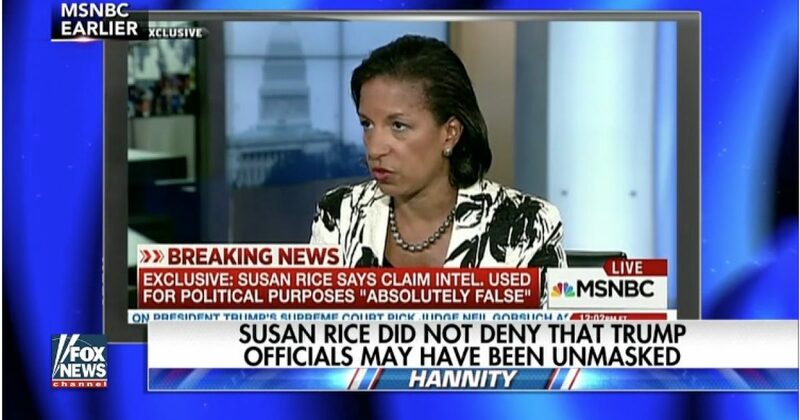 In one interview, Rice claimed she was not aware of the unmasking of names and in a subsequent interview she sang a different tune. Having served years as a loyal Democrat insider, Rice gets to cash in on her D.C. swamp experience without regard to her performance.